Home Chennai Shopping Crochet jhumkas? 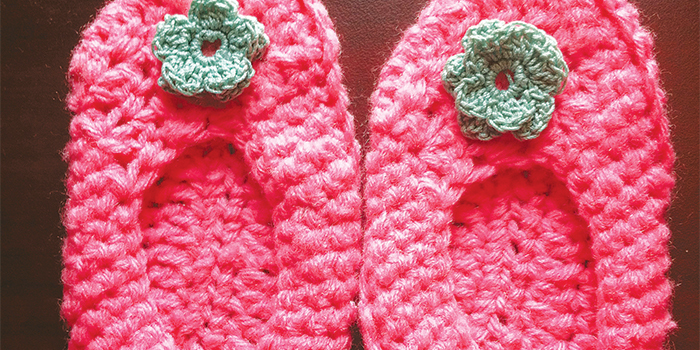 We have heard of crochet booties and accessories. But jhumkas, thata��s a first. Sandhya Raj of city-based Facebook group SAK Crafts4U, makes crochet jhumkas and flower-shaped studs, apart from headbands, hair clips, and bottle covers. a�?I love wearing jhumkas. But since they are so heavy, I thought why not make crochet jhumkas?a�? Raj, 28, shares, adding that these take around five days to make. She learnt the craft at school. a�?But I lost touch with it completely until I started making it for my kids (three-year-old daughter and eight-month-old son), around four years back. Now Ia��m hooked on to it,a�? she says, adding that her first customer was her best friend for whose daughter she made head bands.A� Not to be missed are her classic crochet hoops with a plastic base, for those who are allergic to metal. When it comes to designs, her friends bombard her with ideas. a�?I take inspiration from everything around me,a�? says Raj. They come in lavender, cream, green, pink and yellow. The IT professional at Cognizant (currently on her maternity leave), who founded the group in August, makes around six booties a month and two overcoats for newborns. She assures that all the items can be customised. Future plans? a�?I want to quit my profession and take this up fulltime. Also, I am in talks with a store to retail my accessories,a�? she adds.